With Readly you can read All About History - Book of the Windsors and thousands of other magazines on your tablet and smartphone. Get access to all with just one subscription. New releases and back issues – all included. "While wartime Europe watched on as its monarchies floundered and fell in the face of revolution, one particular king was determined that the same fate would not befall his throne. George V of the United Kingdom clung to his crown, evolving and modernising his family to face the challenges of a new era. In 1917, as German Gotha bombers savaged his nation, George shrugged off his last-remaining Germanic tie, the family name of Saxe-Coburg and Gotha, and embraced the thoroughly British new dynastic name of Windsor. 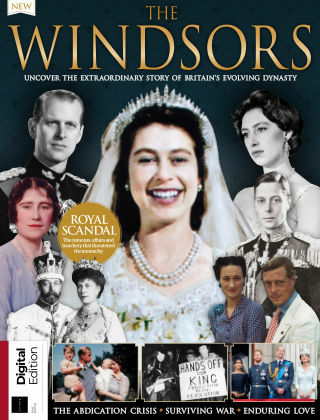 In the Book of the Windsors, discover the family's remarkable story, from the scandal and rumours that threatened the future of the monarchy, to the loves and losses that affected the dynasty."